With any home investment that you make, the contractor you partner with is just as important as the repair or upgrade itself. When it comes to asphalt, the truth is that there are lots of sealcoating and asphalt repair contractors in the Minnesota area. They claim to be professionals and have the experience to back up their work, but that doesn’t always hold true once the work is complete. 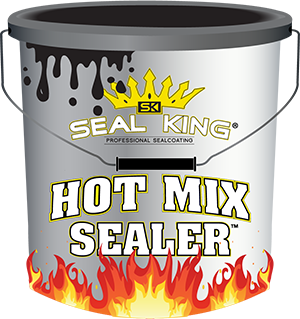 If you don’t want to have to worry about whether or not your finished sealcoating application or asphalt repairs will be completed with expert detail, the simple answer is to choose Seal King Professional Sealcoating. We’ve been in the business since 1991, and have mastered the sealcoating process into key steps that are completed by our professionals on every project that we complete. When it comes to church, the goal is for church members and guests to have a great experience from the instant that they drive onto the church property. There are lots of churches in the WI community, so your potential guests and members can easily choose a different church to attend if they have a bad experience. At Seal King Professional Sealcoating, we are confident that your members and guests will have a meaningful and memorable experience once they enter your church doors, but what about before? The last thing that you want is for your visitors to have a bad experience with your poorly functioning parking lot. That’s where our experienced sealcoating team can help! Let us revitalize the look of your church parking lot through affordable and durable sealcoating services. 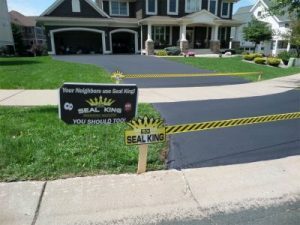 We are Seal King Professional Seal-Coating Services of Minnesota and we strive to be the best sealcoating company in MN. It is impossible to find another sealcoating company with such a complete commitment to high-quality service and to fulfilling every expectation that you may have for such a company. At Seal King, we offer a full range of seal-coating services, including repairs to asphalt parking lots, asphalt pathway repairs, pothole repairs, cracks in asphalt repairs and asphalt line painting. Your driveway or parking lot in MN usually takes a beating during the winter months. The frigid temperatures and large amounts of snow and ice can wear down your asphalt, especially if you haven’t taken good care of your asphalt in the past. Many of us in MN are happy when spring comes along because it brings warmer temperatures and no winter precipitation! Your asphalt is happy when spring comes around as well. The spring season is a great time to consider investing in seal coating services from our experienced and dedicated team at Seal King Professional Seal Coating for your residential or commercial property in MN. Quality sealcoating is done by companies with experience, integrity, and skill. At Seal King Professional Sealcoating, we are proud to have all three. 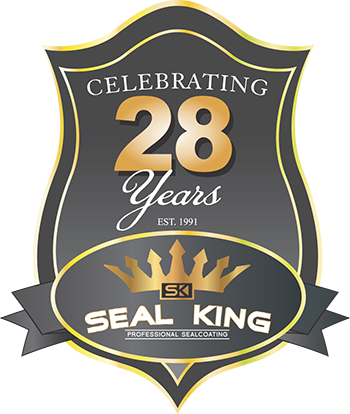 Serving all around Minnesota, Seal King Professional Sealcoating has been serving residential and commercial owners for over 25 years. Our job and our passion is solely to deliver quality sealcoating services so that all of our customers receive noticeable and long lasting results. If you are trying to get the most out of your parking lot, proper asphalt maintenance is a necessity. Asphalt is very sturdy, but even a parking lot needs some regular tender love and care. When it comes to parking lot maintenance for your MN commercial property, our team at Seal King Professional Sealcoating is the perfect partner for you. Our proven maintenance techniques will help you maximize the life of your existing parking lot. To a carpenter, there’s nothing better than fresh cut wood. To a baker, nothing beats bread rising in the oven. To a sealcoater, nothing can top the fresh look that sealcoating provides to asphalt! At Seal King Professional Sealcoating, it’s not just our job, it’s our profession. We love what we do and look forward to providing each and every one of our customers with quality work done with a professional attitude. 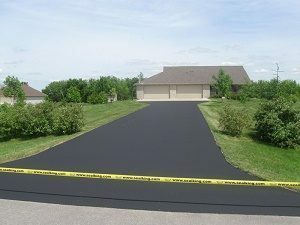 If you are looking for sealcoating for your asphalt in Minnesota, it’s time to call Seal King Professional Sealcoating. 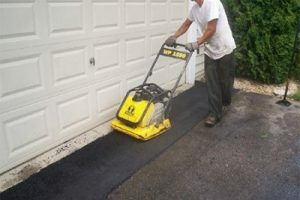 We at Seal King have established such a positive reputation for asphalt maintenance and other sealcoating services that it was impossible to meet the demands of our customers without expanding into a franchise program back in 2000. Since then, we have been able to keep up with the demand for our asphalt maintenance services by making it easier for you to find us. 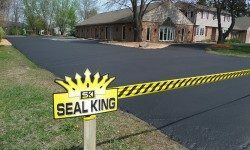 With locations all over Minnesota, Wisconsin and Iowa, you can easily partner with a Seal King for all of your sealcoating and asphalt maintenance needs. Have you ever thought of your parking lot as a money maker? Sure, it may not seem like it because parking lots are so easily overlooked. However, when you actually think about it, it’s the first impression any customer or employee will take in. Without a properly functioning parking lot, employees can’t get into work and customers certainly won’t be coming in. 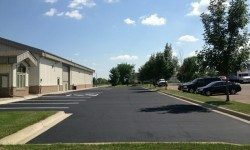 If you are a Minnesota business and you are in need of a parking lot repair, call the professionals at Seal King Professional Sealcoating.